Trust is the life’s blood of business. Your prospects and customers must trust you, your services, or products. You have to trust your vendors and suppliers as well. 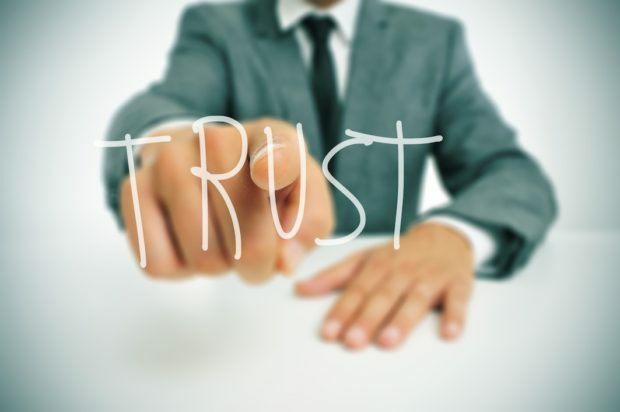 Building and maintaining trust is central to success for every business owner. Nothing is sold until it is trusted, or at least the person selling it is trusted. Your reputation, your brand, your image, the way you and your business are perceived, all have to do with establishing trust. When things go wrong, often it has to do with a breakdown in trust. If you think about it, difficulty with a customer can be traced to a loss of trust. Once your customer doesn’t trust you, it’s almost impossible to regain that confidence. So, maintaining your buyer’s trust is critical. It’s important to say that some people have serious issues with trust. No matter what you do or say, how hard you try to prove to them that you, your services, or your product is reliable, they will never trust you. This manifests itself with the prospect asking zillions of questions, practicing “hire an expert and then tell them what to do,” and vigilantly looking for signs that somehow this non-trusting potential buyer is going to get screwed. This kind of customer can cause chaos and tremendous stress. Learn to see them coming. When you bump into someone like that, my recommendation is that you run the other way and find another prospect. Cloak Your Business in a Polished Image. Perception really is reality. Invest in a great logo and website. Branding is about pre-selling, so the buyer feels reassured. People think in stereotypes. People think and buy with their eyes. They hear what they see. Watch your visual clues to trigger the right stereotypes. Be Dependable and Predictable. Nothing adds to trustworthiness more than being responsible. Always say what you’re going to do, and do what you said you would do. They call this “integrity.” People value dependability and will even pay more for it. Nothing kills trust quicker that being erratic or unpredictable. Visibility Leads to Credibility. Hide behind your business and lose the standing you gain by prospects and customers feeling you are “the best” because they see you everywhere. In fact, visibility trumps actual ability, it’s that important. Want proof? How many incompetent competitors do you know? How did they find any success? Visibility. People Trust People They Like. In the western psyche “like” and “trust” are inextricably linked. We have a difficult time trusting someone we don’t like, and we trust someone we do like. Logic always loses out to emotion. People buy and will pay more for the way you make them feel, so make them feel good. Presto, you’ll be liked. Ask any good salesperson and they will tell you how important it is to be liked. Communicate Often and Well. Frequent interaction helps to reinforce your expertise, concern for others, and talent. Communicate often with your target market, prospects, customers and employees. Avoid surprises. Maintain transparency. Become an emailing enthusiast, and allow for some of your personality to shine through. Offer a Guarantee. Offering a guarantee or it’s close cousin proposing a free trial, help to ensure customer reassurance. We live in a skeptical world. People have been trained to be cynical. Anything you can do to calm the dubious buyer will be to your benefit. Cultivate Testimonials and Positive Reviews. Nothing works as well as hearing others saying how wonderful you are, how well your company solved a problem, or the success you had with a customer. The internet is loaded with places to generate testimonials, encourage reviews, and even generate referrals. You want prospects to arrive at your door already trusting you. Vicki Garcia is the Co-Founder of Veteran Entrepreneurs Today & President of Marketing Impressions. 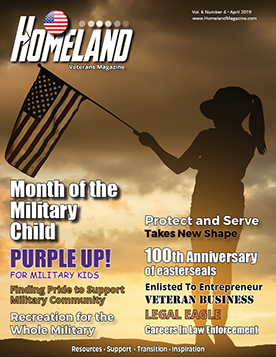 Look for trusted advisors, or apply to be a B2B vendor for veteran entrepreneurs at www.veteranentrepreneurstoday.org.